MRTeam is ecstatic with their debut appearance on WIN News which aired Wednesday 12th September, 2012. The feature highlighted that we are a South Coast based V8 Motor Racing team with dreams of competing in the V8 Supercars Series in the future! Interviews were conducted on site our Milton property with drivers' Ryan and Reece Marchello. The guys were a little nervous to start with, but they soon settled, revelling in the excitement of taking WIN News for a tour of MRTeam Headquarters. 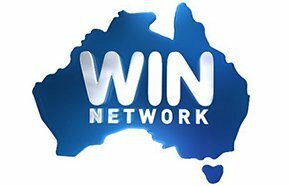 We are extremely thankful to the friendly and supportive crew at WIN News. We sincerely appreciate them taking time out of their busy schedule to put this great little piece together. We look forward with confidence to providing WIN with successful and interesting progress reports. We are also very appreciative of the overwhelming support we have received from the community since the interview went to air. A strong support crew makes a strong team. We appreciate the thoughts, feedback and support from everyone following our progress, helping to spread the word on MRTeam and wishing us well. We are very proud and honoured to represent the beautiful South Coast area and promote our local business community. MRTeam would like to thank our sponsors Lynns Removals & Storage, McVey's Transport Ulladulla, EmbroidMe Penrith, Signarama Surry Hills, Wishart's Paint Solutions and Ulladulla Smash Repairs. Words cannot express our gratitude for your commitment to the team and helping us achieve our goals! For anyone that missed the MRTeam WIN News Debut, the interview can be found on the video page of our website, the MRTeam Facebook page and YouTube.